It is amazing when we add crystals to our healing kit, but selecting them is just the beginning! The most important step is to ensure thorough crystal cleansing. 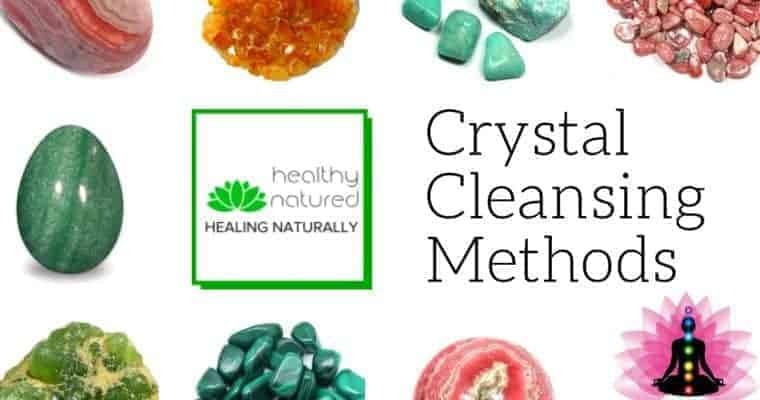 In this post we discover 5 cleansing methods and how we can charge and program crystals. 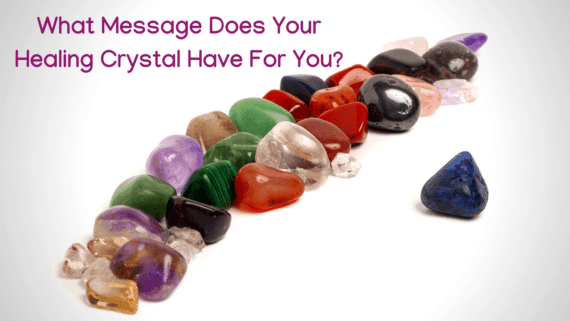 Find out why this is so vital before using the crystals for healing. 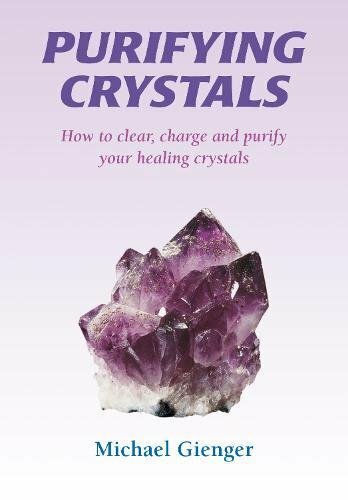 Why Is Crystal Cleansing So Important? Simply put, in most cases we have no real understanding of our crystals history. We don’t know where the stone has been or the people who have come into contact with the crystal. Regardless of whether the people who handled the stone were good, bad or in between, we know that crystals absorb energy, intentions and emotions. They will have absorbed energies from every encounter and we don’t want others intent or energy impacting us! 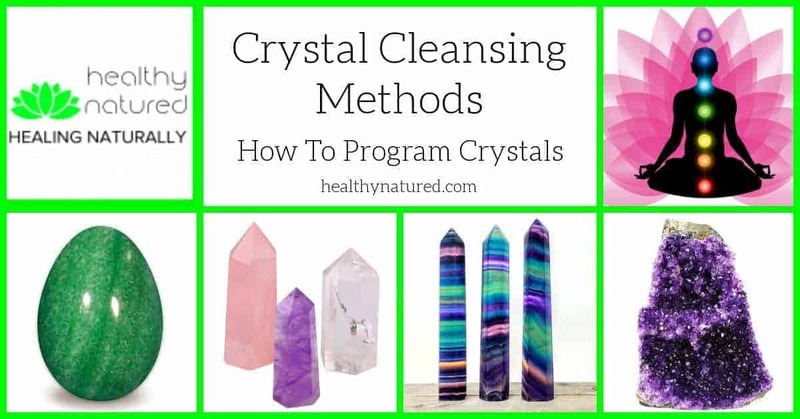 Using these crystal cleansing methods ensures that we remove old programming, prior charging, negative emotions, toxic energies and vibrations. 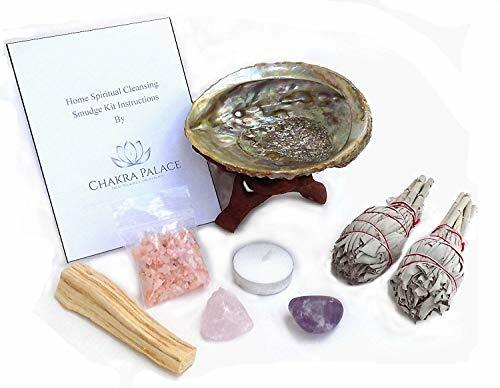 As well as cleansing our healing crystals after purchase they should also be cleansed and cleared regularly if used when offering energy healing to others. 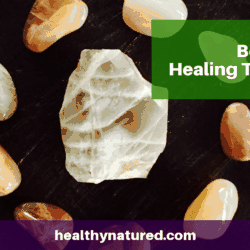 During a healing session the crystals absorb energies from the other person/s, including negative emotions and any stagnant or blocked energies associated with ill health. Our healing stones collect and remove these unwanted energies from us, our patient, friends or family and from our environment. However once absorbed we obviously want to remove these vibrations from the crystal. 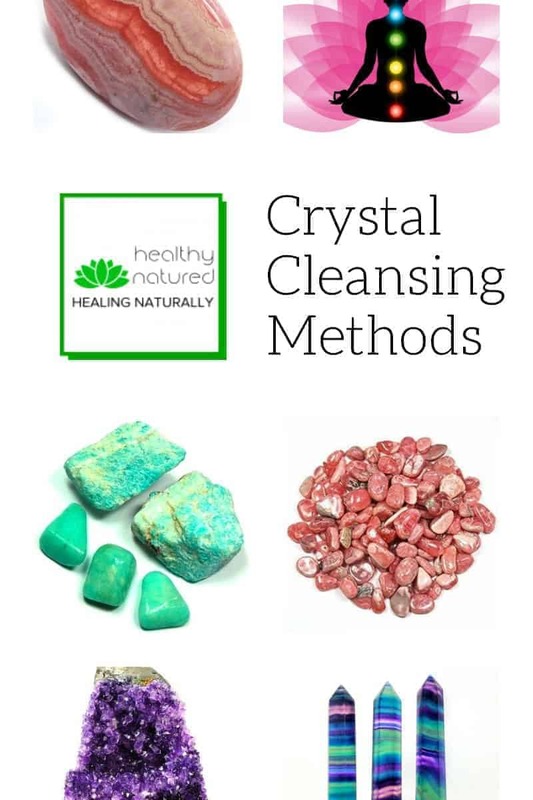 These cleansing and clearing methods enable our crystals to safely clear the energy absorbed, and be ready again to provide you with their vibration, resonance and healing energies. All our healing crystals stones require cleansing and clearing to free them of unwanted energies and aid alignment to your vibration. Treat them well and they will be of huge benefit to health and vitality. 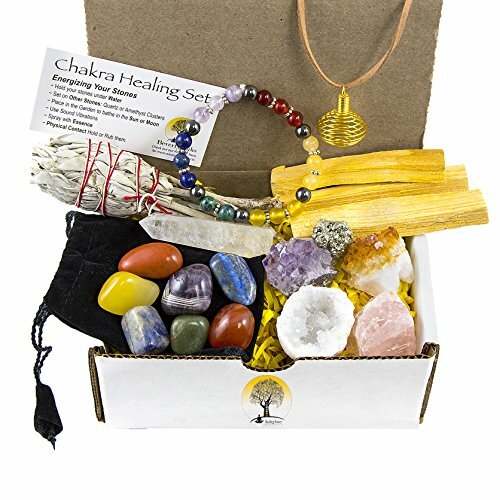 There are many crystal cleansing techniques. The following 5 are my favorites! Number 1 – Sea Salt Water. Pure sea salt dissolved in water is probably the most well known of the crystal cleaning and clearing methods. Salt is an amazing cleansing agent. It is also a crystal, but unlike our healing stones the salt crystals are much softer and porous. Just like salt crystals are used to absorb excess moisture or strong unwanted odors from the environment, the sea salt crystals draw out and absorb the unwanted and potentially harmful energies within our healing crystals. Whenever possible use pure sea salt. Table salt often contains aluminium and chemical additives. It is important to note that not all crystals should be cleansed with salt water. 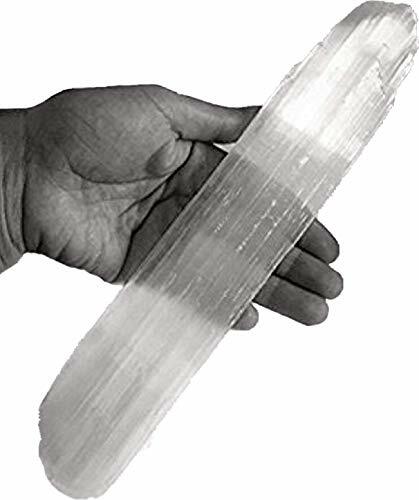 Selenite, for example, one of the most beautiful and powerful healing crystals will become brittle and may even dissolve if placed in water. Most crystals can safely be exposed to water. The accepted “standard” is not to use salt water for cleansing crystals that are porous, metallic or have a water content (such as Opal). You can also gauge whether your crystal can cope with salt water by testing it’s “brittleness”. If the stone appears to be flaky (Tourmaline), is soft (Selenite), or would be marked when pressed with a metal point (Lapis Lazuli), do not soak in salt water. The majority of crystals are as tough as rock – pun intended – and will love their salty bath. Submerge your crystals overnight (even longer if they have been used for very deep intense healing). Ensure that when you take them out of the salt bath you also wash them under clean, cold, running water and let them dry in the air. To enhance the crystal cleansing you can add fresh sage, basil or lavender to the salty bath. If you are unsure about using water then there is an alternative, you can cleanse your stones using dry sea salt. Place the sea salt into a glass or plastic vessel. Then bury your crystals in the salt and leave them overnight in the salt (or longer for crystals used for deep healing). You can program crystals now they are completely cleansed. Be sure that once finished you dispose of the salt. 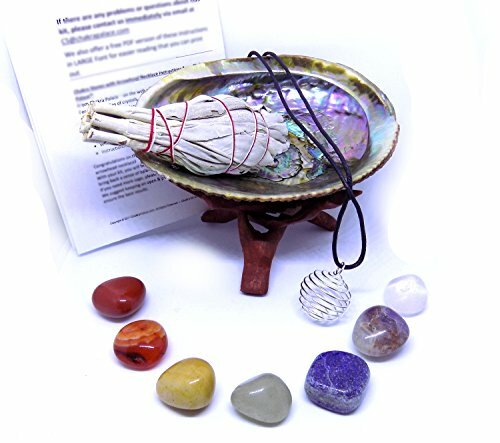 It has absorbed all of the negative energies during the cleansing process. So dispose of it down the toilet or sink. Be sure to thoroughly brush off any excess salt from the crystals, or give them a quick rinse in water and air dry. Again, take care if you place your crystals directly into dry salt as, similarly to the salt water method,sea salt can have adverse effects on certain crystal types. Number 3 – Running Cold Water. A very simple method for crystal cleansing is to place your stones in running water. A stream is perfect, a running tap is also effective. As with the first two methods the same principles apply, choose only the crystal types that will not be damaged or dissolve! Water, as a natural element, has intrinsic earth links with our stones. The water quickly neutralizes the negative and harmful energies and utilizing running water returns them to the earth. To enhance the effectiveness of this method you should also use visualization and intent. As you place your crystal into the running stream, or as you hold your crystal under running faucet water, focus on the stone and visualize it being cleared and cleansed. See the impure energies washing away from the crystal. As the negative energies are being washed away see them being replaced, sense the stone being recharged, with pure energies from the water and earth. This technique usually takes around 1-2 minute each crystal. This might not sound a long time, but water is a powerful crystal cleanser, and if you have a number of crystals this can actually be a time consuming process! When you sense the crystal is clear, remove it from the water. This is the time to program crystals and charge them with intent. Say in your mind, or out loud, the reasons for cleansing and any specific purpose you wish to utilize the stone for. 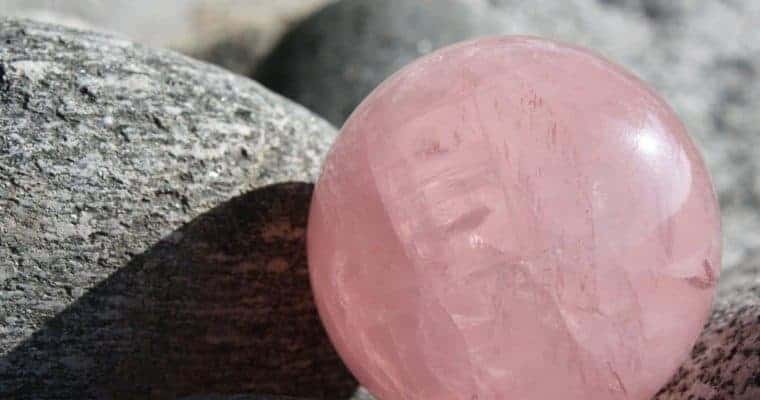 In the running water from nature, from the Mother Earth, this crystal has been cleansed of all negativity, cleansed of all impurity and completely cleared of external vibrations. The energy of nature and the energy of water has recharged and revitalized this stone for the purpose of …. (add your specific purpose if you have any)…. this crystal is cleansed, cleared and in perfect vibration with nature. Let your crystals dry in the air. 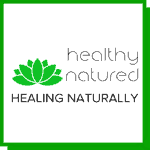 Number 4 – Other Crystal Types. If you are unsure about using water or salt, you can use some stone types to cleanse your crystals. Clear Quartz Clusters, Amethyst Geodes and Selenite Slabs will cleanse all other crystals. Simply place your crystals directly onto the cluster, geode or slab for 12-24 hours. The Selenite, Amethyst and Clear Quartz absorb all of the negative energies from the other healing stones. They neutralize these impurities and recharge the crystal with the vibration. Many people say that these 3 crystal types do not need cleansing, as they are able to neutralize impurity. I agree this is true, however I like to cleanse them regardless. I believe all natural elements should experience an input of pure revitalizing earth energy rather than only ever expending their own energy cleansing others. Think of it as a Spa treatment for their hard work! Amethyst and Clear Quartz can be cleansed in running water, dry salt or salt water. Easy! Selenite can be cleansed using this method or method 5. Kyanite is the exception (another that must avoid water). Kyanite LOVES to clear negative energy and can clear it quickly. Kyanite is the only crystal, in my opinion, that does not need to be cleansed. It neutralizes impure and negative energy and sends it back as pure. 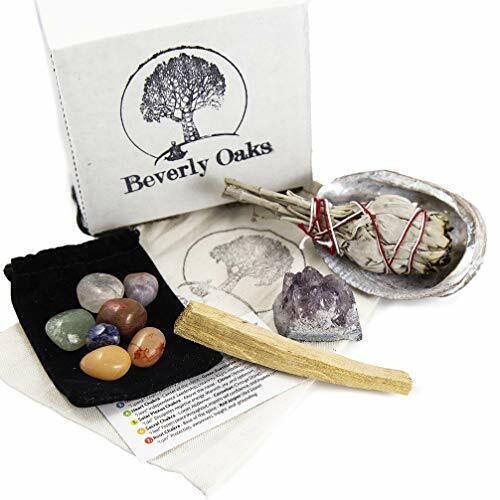 As a crystal cleansing stone it is a “must have”! Number 5 – Smudging or Smoking. 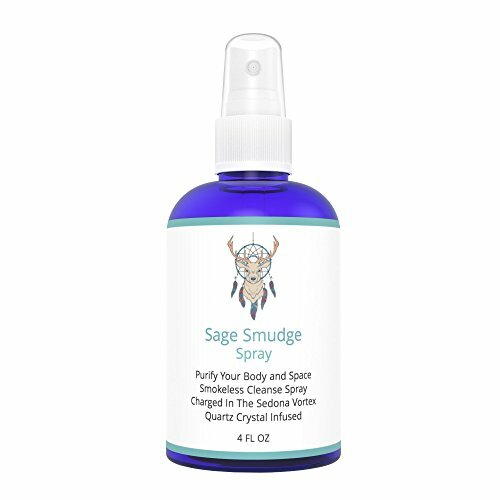 Smudging is the term for the smoke produced when burning certain herbs, usually sage based. White sage I believe to be the best. 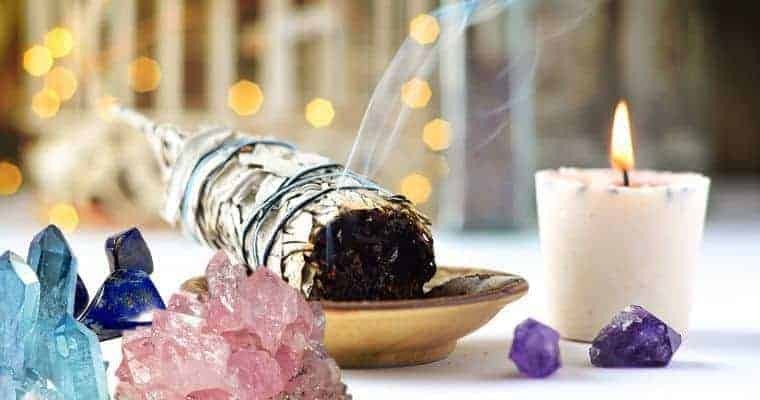 Many people know that smudging (or sage smoke) is used to clear stagnant, negative and unhealthy energies from our homes. Smudging can do the same for your natural healing stones. Light your smudge and hold your crystals in the smoke. As with running water you need to add intent and visualize the negative energies being removed. This method is awesome. Let the smudge smoke envelope each crystal for 30-60 seconds. Some people find smudging to heavy and overpowering. Others may find it difficult to obtain. If this is the case you can replace smudge with smoke. Using smoke from Sandalwood or Frankincense incense will achieve the same results! 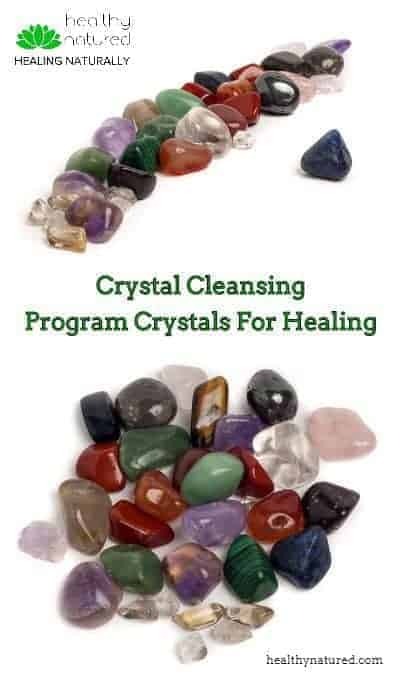 How To Program Crystals For Healing. Charging your healing crystals simply means you are energizing them and declaring your intent for their purpose. For best effect, do this straight after their cleansing and clearing. When fully cleansed you can connect and truly engage with the full vibration and resonance of your crystals. The energies of light from the Sun and Moon is perfect for re energizing your crystals with natural earth energies. Many people leave newly cleansed crystals under either Moonlight or Sunlight (or both) for a day or two. This allows them to fully absorb the light energies of the Moon and Sun. Using both provides balance for your crystals, the Sun providing stronger energy, the Moon giving a more gentle energy. Your intent for the crystal can determine the light, or the balance of light, you use. If you are wanting to focus on nurturing, loving intent then a majority of feminine, nurturing, loving moonlight would be best. Take care when leaving some crystals in strong sunshine. If certain colored stones are left in strong sunlight they can lose some, or all, of their color. Amethyst and Citrine are examples of this, so only leave these crystals in the sunshine for an hour or two. Other people prefer gentle sunlight hours, such as sunrise and sunset. The ancient civilizations who used crystals, such as Aztecs and Native Americans energize and charge crystals through contact and being immersed in our body’s aura (energy field). Therefore you can charge and program crystals by picking them up and handling them. Just hold them or rub them between the palms of your hands as you focus on what it is you wish for them to help you achieve. Hold your healing crystal in your left hand (the left hand receives) and, if possible, do this standing in moonlight or sunlight. “I dedicate this crystal to work for the me, charged in natures light I only accept and seek vibrations and energies that work for my best and most positive good. I ask that the universe infuse this stone with energy so it, and I, may only know, offer and receive love and light. You may also charge the crystal with specific intent. Again hold the crystal in your left hand and visualize / focus on the specific purpose you have for the crystal i.e. healing, love, attraction, prosperity. If possible you should carry, wear, or remain within the same space as your crystals for as much time as possible to establish the energetic connection. I try to ensure the crystal cleansing is finished in the evening, then to program crystals and the healing stones I simply place them beside the bed, or on a bedside table, as I sleep. 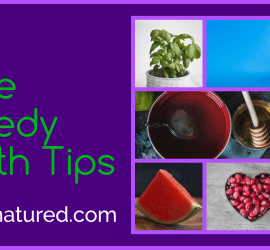 I would love to hear your feedback if you use these methods, or if you know of any others, please share them with us in the comment section below. You can of course contact us directly here. Thank you Matt. I am pleased that this post was useful to you and provided you with the information you were looking for. I look forward to welcoming you back again soon. 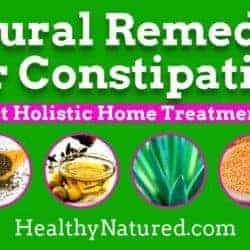 This post is really interesting, I never knew much about the clearing of crystals and will use your advice. I think I have seriously neglected them so far..lol. Seriously though an excellent post and very educational. I’ve a question for cleansing in sea-salt water. I read once somewhere else that hematite shouldn’t cleansed in water. Do you suggest that hematite can be cleansed with water too? There is a lot of talk about not cleansing hematite in water…some say the crystal doesn’t like it, others say because of its high iron density it forms another crystalline layer which messes with the vibrations….I say (and this only my opinion and experience as I LOVE hematite) it’s a load of nonsense…the only crystals to avoid putting in water are those that might dissolve! I truly believe the whole theory about hematite came about when it became popular as jewelry rather than a healing stone…and yes if left too long in water it will form a whiteish film which doesnt make it as “pretty”…but a soak under the tap, or a bath overnight is going to do your stone more good than harm. Will be interesting to hear others views on this! I wear hematite everyday…and soak/cleanse and clear it in water…and its as beautiful, charged and powerful as the day it came into my possession! What I want to say is that on those times I spend a lot of time searching for info. You gathered here in one article what I found on days and days of searching! One thing I would like to add, and it is something learned from a hypnotherapist. Your intend, your affirmations (with visualizations and feeling) should be always said 3 times. I’m so happy you enjoyed the post and that it offered information useful. Thats awesome. I love your comment on affirmations of 3 times. This can be 1-100 times…whatever feels right and brings you the benefit. Hi Jason, I enjoyed your article very much. I go through phases with crystals. I read about them, enjoy spending time browsing in various shops, learning about each crystal, and what it’s meant to do for us. Then I forget about it for years! I must admit that until I read your article I have forgotten that I have a satin bag of them, somewhere in my bedroom. This article has inspired me to go dig them out, and take advantage of what they have to offer. I guess a good cleansing and clearing wouldn’t go amiss!! At least now I know how to do it. I hope you now have those beauties cleansed and working for you. Im sure you have and have noticed the positive impact. Love the idea of cleansing crystals. You obviously got me with the sage. 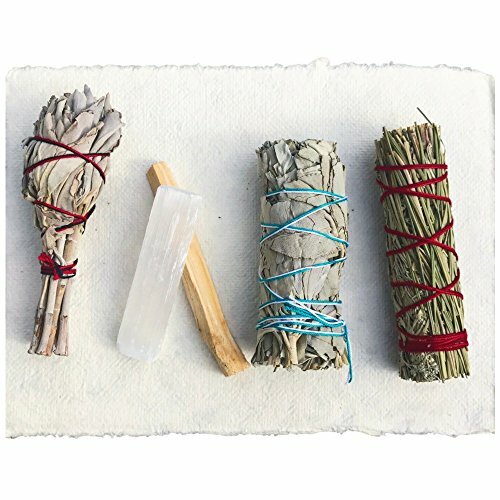 White buffalo sage is my absolutely favorite! I had not thought about cleansing crystals but it makes total sense. I would not want to have the energies of others attached to them. I will be cleansing my amethyst and obsidian stones tonight for sure! Im sitting here with 5 new crystals and boy are they making a difference…love nature! Most informative and in-depth post. I will certainly share this site with others.